Alaska, Hawaii, Puerto Rico: Feel free to message us directly for shipping quotes. All other locations: Feel free to message us directly for shipping quotes. Our international shipping rates should reflect on the item listing. Feel free to message us directly for shipping quotes on specific items or with any questions. All shipping rates are for actual transportation charges and do not include VAT, import taxes, or brokerage fees, which vary from country to country. Most of our shipping rates are for UPS International Service. 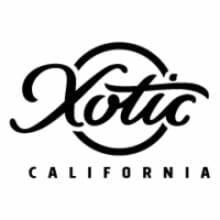 Xotic All-Brass™ Cables will ship internationally via USPS. CITES - In order to ship a guitar with a Rosewood fingerboard to you we require 2-3 weeks to obtain the proper CITES permit. We will contact you once the application process begins and the guitar is ready to ship. The CITES permit fee is $50 and is included in the shipping cost. Please confirm your shipping details with the Xotic team before the permit application begins. Incorrectly submitted addresses will incur an additional fee. Payment Terms: All prices are EX WORKS; additional shipping and duty charges other than what is shown on the listing are not included. Return Policy: Instruments ship worldwide on 7-day approval (certain custom orders may be excluded). Approval period begins the day you receive the instrument. If you wish to return it, notify us within the 7-day period that you will be returning the instrument. It is the purchaser’s obligation to pay for the return shipping. If the instrument is returned in perfect condition, a full refund (minus shipping charges) will be issued. Please allow 48 hours for returns to be processed. Returns will be credited in the same manner as your purchase. We extend our 7-day approval policy to all of our customers, but the reality of shipping internationally creates problems with returns. If you return an instrument, you remain responsible for all customs charges on the instrument sent to you. You must appeal the charges with the customs officials in your country if you return an instrument. Due to charges we incur on receiving a return from an international transaction, we must charge a 10% restocking fee. So please purchase carefully. As much as we want to be as flexible as possible with returns and exchanges, the realities of import and export charges make this difficult to do. Warranty: Our products are warranted against failures due to defective parts or faulty workmanship for a period of one(1) year after delivery to the original owner. During this one (1) year period, we, Xotic, will make any necessary repairs without charge for parts and labor. However, shipping charges to and from the repair location must be paid by the owner. • This warranty applies only to the original owner and is not transferable. • This warranty does not cover damage to the product as a result from accident or misuse. • This warranty will be canceled at the sole discretion of us if the product has: • Any signs of tampering, unauthorized service, or modifications. • Any damage resulting from physical abuse or failure to follow operating warning. Important Note: To obtain warranty service, it is imperative that you provide a copy of the original receipt. If you do not provide a receipt, you are responsible for all repair and shipping charges. The warranty does not cover shipping costs.